Struggling to Manage IBS? Try Peppermint Oil! Did you know that IBS is the most common functional gastrointestinal disorder in the entire world? It’s estimated that between 10 and 15% of Americans suffer from Irritable Bowel Syndrome, and it can lead to a number of additional health problems. If medication to treat your IBS isn’t working, why not look into herbal remedies–such as peppermint oil. You’ll find that there are a surprising number of benefits of peppermint oil for IBS. 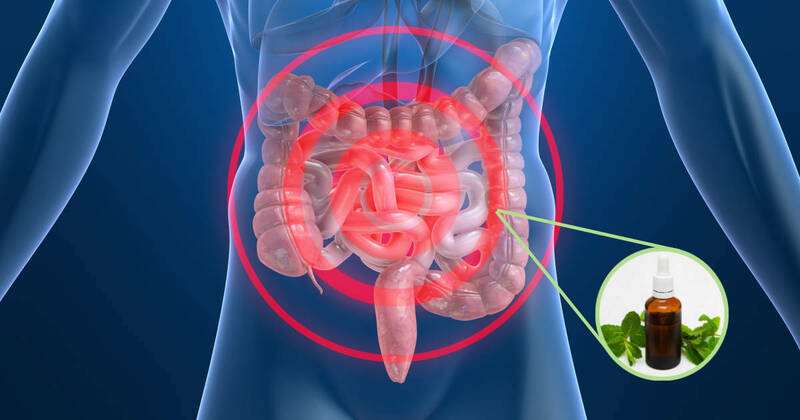 A number of studies have been done into how peppermint oil can help to treat Irritable Bowel Syndrome, and the results have been very promising! A study done back in 1997 proved that peppermint oil (mixed in a formula called Colpermin) helped to reduce all of the symptoms of IBS(2). 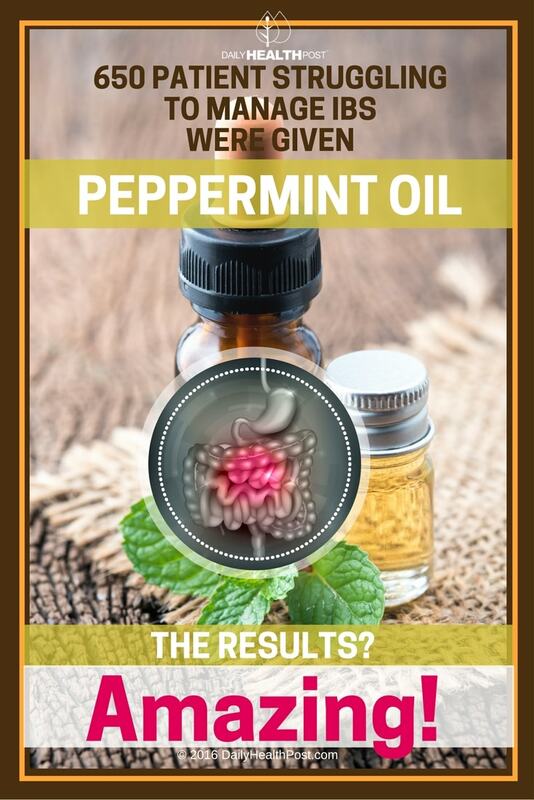 79% of the patients taking the peppermint oil noticed diminished abdominal pain, 83% experienced a reduction in the frequency of stool, and 79% noticed a decrease in flatulence. Another study, published in 2013, found that peppermint oil helped to control the pain associated with IBS-caused diarrhea(3). 74 participants enrolled in the study, receiving either a placebo or peppermint oil capsule thrice daily over the course of six weeks. At the end of the study, the patients who took the peppermint oil capsule showed marked improvement. Note: The results of this study proved that the benefits were transient. Two weeks after the patients stopped taking the peppermint oil, the pain returned. As you can see, peppermint oil can help to reduce the pain and abdominal discomfort that accompanies IBS for as long as you take it. The beauty of this remedy is that it’s fairly easy to get your hands on peppermint oil! Flatulence — Peppermint oil helps to relax the muscles of your intestines, allowing gas to escape your body before it builds up and causes bloating. Indigestion –– Peppermint oil increases bile flow, which ensures that fats are broken down more efficiently. It also helps to relax the stomach muscles and helps food pass through your digestive tract more quickly. Note: Acid reflux/GERD sufferers should avoid peppermint oil. Headaches –– Tension headaches and migraines can both be treated by peppermint oil. Simply massaging the oil into the temples is a proven remedy for dealing with headaches, and the scent of the peppermint helps to relieve the pain. Colds/Flu –– Worried about your cough or cold? Rub a bit of peppermint oil on your chest or inhale the scent of the oil. It will loosen up the phlegm in your lungs and throat, making it easier for you to breathe. It can also help to deal with sore throats and a dry cough! Skin Irritations/Rashes –– Got a rash or an irritation caused by hives, poison ivy, or poison oak? Rub a bit of peppermint oil on your skin, and it will do wonders to soothe and cool the inflamed area. Latest Headlines » Digestive Health » 650 Patients Struggling to Manage IBS Were Given Peppermint Oil…The Results? Amazing!